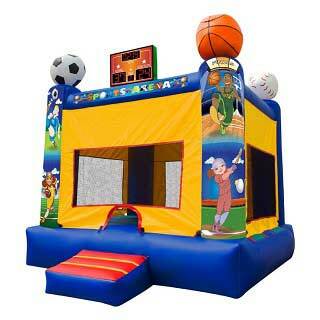 Large, interactive bounce house with a challenging and fun obstacle course. This interactive challenge features a large bounce area that leads to an obstacle course, then up the steps and down the slide. 4-in-1 Fun House comes in two motifs, either the Wizard’s Castle or All-Star Arena.